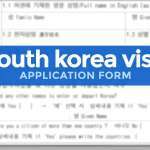 Applying for a South Korean visa in Cebu is not that different from that in Manila. The required documents are exactly the same. The only difference is in the actual lodging of the application at the consular office and the length of the processing time. 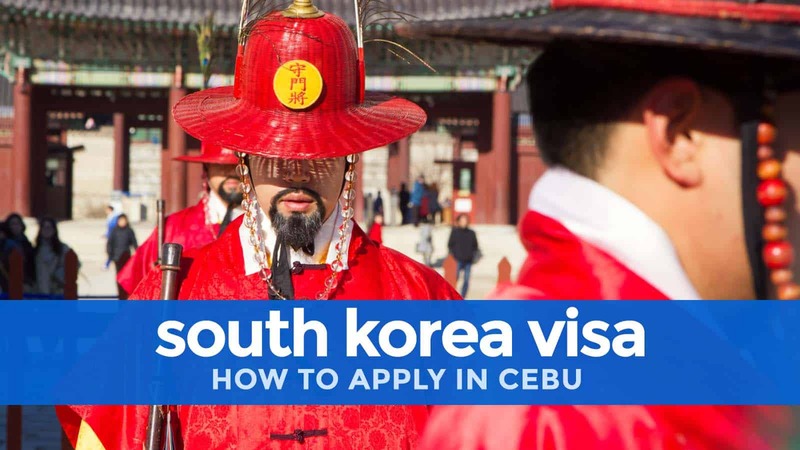 A friend very recently applied for a South Korean visa in Cebu and we asked her to document every step of the way, so now we’re sharing it with you. Here goes. 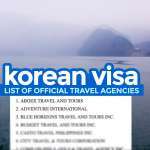 Note: The Korean Consulate in Cebu is not affected by the changes involving embassy-designated travel agencies. The consulate will continue accepting walk-in applications directly. However, if you prefer to apply via travel agency for whatever reason, you may do so. For that, read this instead: NEW KOREAN VISA APPLICATION PROCEDURE. 1. Gather all basic requirements. The set of requirements varies according to the applicant’s employment status. In this post, we will only tackle the four most common types of applicants: employees, self-employed, housewives, and students. The list follows a certain order, but for the purpose of this article (and so you would easily understand the process), let’s break it down to basic, financial, and OECD documents. Duly accomplished application form. Download here. You can also find it below. The Section 2 of the application form calls for details of Visa Issuance Confirmation. 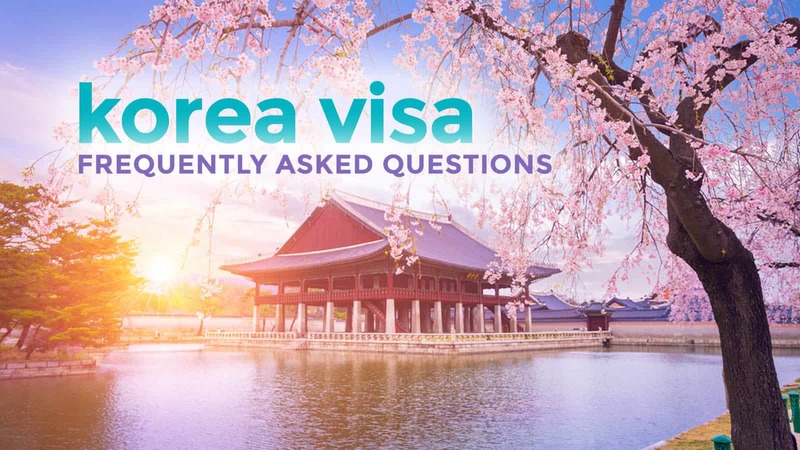 This section is only for those with a document called “Confirmation of Visa Issuance.” Many people think it refers to previous Korean visas; NO, IT DOESN’T. The “Visa Issuance Confirmation” is a completely different document, usually issued in Korea. 2. Complete financial and employment documents. Certificate of Employment. Must be original; and must have the address of the employer, the landline number and email address of employer’s HR department, applicant’s position, date hired, and compensation. Mobile number is not allowed. Original Personal Bank Certificate. Must include account type, current balance, account opening date, ADB. Original or certified true copy of bank statements/passbook covering the last 3 months. ITR (Income Tax Return) or Form 2316. Your own or your husband’s original Bank Certificate. Must include account type, current balance, account opening date, ADB. Your own or your husband’s Bank Statement. Original or certified true copy of bank statements/passbook for the last 3 months. – Husband’s Original Certificate of Employment. Must be original; and must have the address of the employer, the landline number and email address of employer’s HR department, applicant’s position, date hired, and compensation. Mobile number is not allowed. – Copy of ITR (Income Tax Return) or Form 2316 Copy. – Parents’ Original Certificate of Employment. Must be original; and must have the address of the employer, the landline number and email address of employer’s HR department, applicant’s position, date hired, and compensation. Mobile number is not allowed. Parents’ Original Bank Certificate. Must include account type, current balance, account opening date, ADB. Parents’ Bank Statement. Original or certified true copy of bank statements/passbook for the last 3 months. Copy of parents’ marriage certificate. Starting July 1, 2018. The company alphalist is no longer required. However, it may be requested as additional document for some applicants. For Employees applying before July 1, 2018, you must submit ITR with BIR Received or BIR Certified True Copy Stamp + Copy of Alpha List with BIR Received Stamp. You must highlight your name on the alpha list. If you cannot submit company alphalist for whatever reason (usually, confidentiality issue), you can ask your company to write a letter of explanation and submit that. However, according to the embassy, there may be disadvantage in visa approval for those who fails to submit. But this is the best you can do in this case. For Self-Employed, BIR Form with Corresponding Payment Receipt from a BIR-authorized bank. Only if you have them. If you don’t have any, skip this part. What’s OECD, you ask? It’s the Organisation for Economic Co-operation and Development. To see all the member countries of this organization, visit this website. If you have been granted a visa for any OECD country, you need to submit both the ORIGINAL copy AND a photocopy of it. If you have multiple, submit them all. Although this does NOT GUARANTEE approval, it gives you better chances. 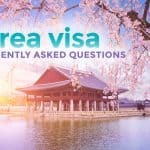 Submission of ITR is waived for applicants who have traveled to South Korea more than 2x within the last 4 years and applicants who have traveled at least once to any OECD country within the last 5 years. This is according to Constellation Travels, which is an official embassy-designated travel agency. 4. Submit the documents to the Korean Consulate in Cebu. Once you have completed all the requirements, it’s time to go the consular office. They entertain visa applications Mondays-Fridays 9am-11am only. Closed on weekends and holidays. 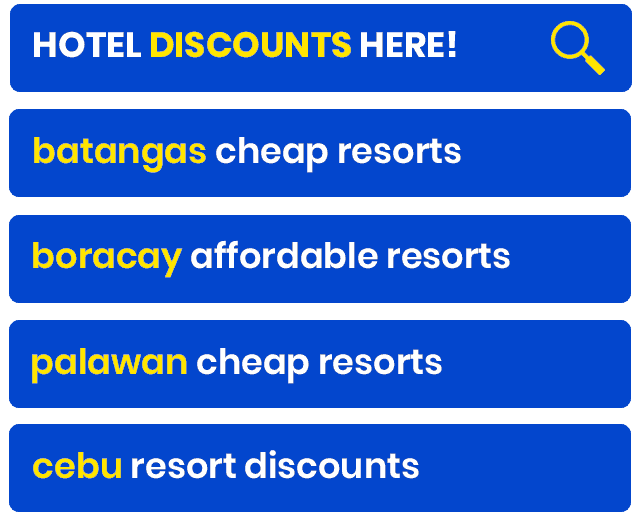 If you’re not from Cebu but traveling there to apply, note that there may be local holidays so double check before going. Also, Bring 2 valid IDs aside from your passport. I’ll explain why later. When you reach the lobby of Chinabank Corporate Center, approach the concierge, sign in, and leave an ID. Take the elevator to the 12th floor. Walk to your right. A guard will inspect your bag again. You will then be asked for another ID, which is why you should bring 2 IDs. The camera on your phone will be covered with a sticker. You will then be given a number and a list of documents (depending on your employment status). Arrange your documents according to that list. When your number is called, approach the VISA window (the one closest to the entrance) and hand over all the requirements. The officer will check each document and briefly assess it. If something’s not right or insufficient, all your documents will be handed back to you (so make sure they’re complete and correct). If the officer finds your pile satisfactory, you’ll be given a slip indicating the date and time of passport pick-up. 7 working days. Unlike in Manila, OECD visas don’t have any effect on the processing time. It’s always 7 days. 5. Pick up your passport on the scheduled date of release. Return to the embassy on the date indicated on the slip given to you and claim your passpport, hopefully it has a visa affixed to it. Before leaving the counter, double check that your name, passport number, and other details are CORRECT to avoid troubles in the future. For more information about Korean visa applications, contact or visit the official website of the Korean Embassy. While we always try to keep this post updated, always double check with the embassy. Hi:) how many days ang before entering sa korea valid ang visa? Not sure if I understand your question correctly, but the visa is valid for 90 days after the issue date. Hello po. I just want to ask if my son can submit my application for the issuance of south korea visa with attached requirements ? If he can, is an authority to submit required? Thank you! I just want to know how pages the application for south korea visa becase when i downloaded one it is composed of five (5) pages while the other application i downloaded it is composed of one (1) page. My question is what will i submit the 5 pages or 1 page. Please!!! Thank You. The Korean visa application form has 5 pages. Hi! :) I have some questions, is it okay to put “NA” for the fields that I don’t need to answer? May papers ka ba nung online business? Business registration? If meron, pwede yun. APply ka as self-employed. If wala, dun medyo mahihirapan. Pero you can try submitting other proof nung online business like invoices, kung meron, tapos gawa ka letter to explain. Pero di guarantee yun. Hi Ziggy, sa Manila, I was told ng staff na if someone else would pick it up, just bring an authorization letter plus ID ng kukuha. I guess same lang din sa Cebu. Just make sure nasa authorization letter ang details ng pipickup. Would it be okay if the amount of money in the bank is not 50k up? Thank you. What if i’m traveling with my other 3 family members (my mom, sis and bro) , would it be okay to present one bank account for the four of us? Or they require one each? My mom is a widow and unemployed. My sister is a student, on the other hand my brother is employed. Pero kahit once account lang, baka kailangan pa rin ng separate copies of the same bank statement/certificate. Not sure about this though. I already booked the ticket a month ago without checking the requirements for the Visa Application. I bought for our Yaya since we are bringing our 1yo with us. Now that i got the time to check—For item 7, she will be under OTHER which will be Carer or Nanny. What other supporting doc will be asked from her? Since Financial and Employment docs would not be applicable. Would you know if the BASIC Reqs would suffice? We brought her with us several times already to SG and HK. Need i ask for a Sponsor Letter? Hi regarding the new requirements Company alphalist, what if the company cannot provide it? This is my question too. How did you get your Company Alphalist by the way, Yosh? 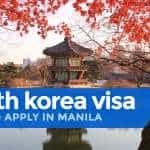 Ask ko lang kung pede padin ako mag apply ng korean visa sa pinas kahit rejected ako dito sa dubai. hello :) what if I only have one valid ID? since I’m still a student. would they allow me to enter pa din? Hi ..ask ko lang if ok lang bah family related yong magpass nang requirements? Hindi naman. Basta complete ang requirements. Would you know if the Transmittal Form from BIR suffice if we can’t provide for Company Alphalist? What is the Form 1604? Is it the company alphalist? What if my company won’t release the company alphalist due to Data Privacy Act? Are the chances of visa approval still low? Thank you. I would like to ask my chances to get a Korean visa. I am currently unemployed… i have a bank account…Me and fiance plan naming magtravel sa December to celebrate Christmas (2018) together mga 10 days siguro. as we did in the year 2015 (Malaysia) 2016 (Singapore) 2017 Taiwan. Pero sa Korea Airport kaming magmemeet since galing sya sa Germany ako Naman sa Philippines. May chances po ba ako makakuha ng visa? Hi Joan, if unemployed, mahihirapan talaga maapprove ung visa. Hi Yvonne, yep, it’s in the 3rd paragraph. wow!!! tks sa info…magandang balita “to..
Hi, tanong lang po. Say, i have about 60-100k in my bank account, however in my coe appeared that my monthly gross salary is only about 15k, same will appear in the ITR. May chance po ba na ma-approve visa ko? Hi po, I’m a graduating student and fortunately my aunt will sponsor me on this trip. My concern is instead of my parents bank account and bank statement okay lang ba na sa aunt na lang ang ipapakita ko who is from Canada since siya naman ang gagastos sa akin. ? Hi Leigh. Not sure, ang alam ko pwede naman. Just prove na lang the relationship by submitting birth certificate mo, ng nanay mo, and ng aunt mo to show na related kayo. Hello po, I am a senior citizen planning to go to South Korea on Sept 28, 2018 and coming back on Oct. 2, 2018 to attend a convention. Do I have to submit my ITR? Hi! Yes po. Yung retired lang po na seniors yung exempted, I think. For the form 2316, it requires “BIR received” stamp. Will they accept my ITR which I got from my office? It doesn’t have stamp or anything on it. Hi can I ask what should I choose between the choices? 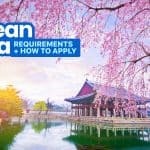 My Korean boyfriend invite me to go to Korea and I am still a university student what should I choose student application visa? I’m not sure I understand your question well, but if what you’re trying to say is you want to visit your boyfriend, apply for a short-term visit visa and submit requirements for students as listed above. Hi Cath, kahit na sponsored, they will still ask for your own bank documents eh. Hi po, ask ko lang po. Nag apply ng tourist visa dito sa Manila and got denied. Pwede po bang mag apply again sa Cebu na di mag hintay ng 6months ? May nabasa po kasi akong blog na they accept even got denied here in Manila. Thank you in advance. Hi Darn! Yep, may mga readers kami na gumawa na nun and naapprove. Just be sure to provide additional supporting docs. Hi Yoshke. I’m an OFW here in China. Can i use my China bank account when I apply for a visa in Cebu? Also, I do not have an ITR. Will a letter of explanation be enough to suffice the requirements? Hi Borge, naku, I’m not really sure kapag OFW. My guess is pwede naman. Dun sa ITR, you can submit ung tax document na equivalent ng ITR dyan sa China. And yes, submit a cover letter too to explain. But again, this is just a hunch. Best to consult a travel agency to be sure. Hi Kim, you can reapply at Cebu consulate. Via travel agency is okay, provided that you address their reason for denial by submitting additional relevant documents. A lot of our readers have done it and got approved in Cebu. Hi Yoske me and my daughter got denied visa last march 26 2019 for the reason You failed to prove the purpose of travel in South Korea what documents do i need to add for appeal? What docs did you submit the last time? Hello.. do they have LbC service? Cause we live in leyte.. we were thinking that we would apply visa personally then ipaLBC nlang nila sa address namin after maprocess ng consulate ang visa namin. 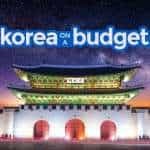 I have been to Korea last 2015 and to 2 OECD countries namely Japan and Australia last March and August this year, respectively; visa and passport used were with my maiden name. However, I got married last January this year and had just renewed my passport last September with my married name. My concern is I am still using my maiden name on my business permits and ITR since 2016. I have 2 bank accounts in which are with my maiden and married name. Will be an affidavit of explanation suffice? I am planning to apply for a visa next month. Hi Meg, not sure if it’s enough, but I think yep Affidavit of Explanation and Marriage Certificate would certainly help. Hi po how to get ITR po ba? get it from your employer. Hi po! Im planning to get a Korean Visa this February. Can I use the 2017 ITR kasi pina process pa po ang 2018 ITR namin, hindi pa po available? Thank you! Yep, pwede pa ung 2017! Hi po! I resigned last October 2018 from my previous company and I got my BIR 2316 (2018) from them just this December. Can I use that in applying visa this February? Since my current employer cannot provide one yet because the submission of Alpha List on BIR is February pa daw. They just provided a certification letter regarding my request from them. And is it ok na wlang stamp ng BIR? Only a signature from my previous employer. Thank you! Hi Juviell, yep, you can use that for your application. Pero nung huling apply ko dito sa Manila, nirerequire nila ang stamp pero wala na yung stamp requirement sa website nila. So di ko alam if need pa rin now or need pa rin sa Cebu. Hi Omen, according to designated travel agencies we talked to, mas maganda talaga na ang sponsor ay family member kaysa friend. Kung di pwede ang parents kasi unemployed sila, baka meron kang uncle or aunt na pwede? Pwede mo rin naman ding i-try na friend. Mas ok lang talaga pag relative. Kung aunt or uncle, po, kailangan ko pa po ba kayang magsubmit ng ITR ng parents ko? Ang alam ko po, last time I checked po, no na, pero need to prove your relationship with your aunt/uncle (birth certs). can i ask about po sa personal bank account,pwede po bang gamitin yung payroll account namin?pero yung payroll account namin sabi ng hr namin pwede po siyang savings account namin kasi savings account na ang nakalagay sa card namin din sabi nila pag nag resign kami pwede po siya maging savings account. Hi Joselly, a regular visa has a validity period of 3 months. 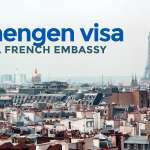 (You can use the visa once within the next 3 months after issue.) So 3 months talaga ang best. If mas maaga ka mag-apply, baka mag-expire na ang visa mo nang hindi ka pa nakakaalis. A.) yung 35-40k bank account lang pero naka marked as frequent traveller naman ni TA plus may visa na Japan at pa 3 yrs na sa current employer. B.) 110k yung bank acct pero po payroll at may active transactions naman kaso wala pa 1 year yung account parang mga 9mos palang po? 2 yrs na ako sa work kaso nagpalit kasi ng bank yung employer namin kaya yung updated payroll account ang ginamit ko. A. How long is the trip supposed to be? Personally, ako never ako nag-apply na below P50,000 ung amount, so di ako sure kung okay lang. 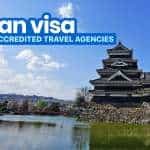 Pero I think worth a try naman since may Japan visa naman and stable ang work, pero depende pa rin kung gaano katagal ang trip. B. Oks lang yan. 3 months lang din naman yung kailangan nilang makita and stable ka naman sa company. Basta walang unusual transaction ha? Ano po ung sinubmit nyo nung na-deny sya? hello po. i’m currently working as a digital marketing assistant. so online job po siya. may chance po ba na maka travel ako sa SK? Yep, just prove na may online job ka. 1. My boyfriend just recently started working as a freelance doctor (moonlighting as they call it) last Jan 2019 since he also recently passed the board exam last Nov 2018. (Stated this in a cover letter to explain why he can’t provide for an ITR) but we supported this with his freelance contract providing consultancy services with a clinic he works at right now. 3. He indicated in his form that he is “self-employed” plus checked “others” and indicated freelancer. 4. Our bank statement is a bit sketchy as it shows a huge sum deposited withih the month of bank cert request since we sold the motorbike we owned before (we have a new one) and he e-transfered money to me it can be seen in the transaction history. His ADB is 10k since he just recently started work while mine is around 40k. Both of us have 90k+ in our bpi bank accts opened since 2012. Does this highly affect our chances of getting approved? :( will be so sad if we het denied since we’ve already booked our trip this coming Apr 16. Huhu hoping for your thoughts on this. Thank you!! Hi Mira, at this point, since you already submitted, there’s nothing you can do but wait. The good news is, the Korean Embassy may be strict but they are considerate. If they feel like most documents are okay but they have a little doubt, they won’t reject right away. They’d call you and ask for more supporting documents. We also received a notice from the Korean Embassy (through an agency) that because of the volume of applications this summer, the processing time takes much longer than usual. Hello. I just want to ask if kung needed pa po ba yung ITR ko kahit walang stamp? I have everything except lang po sa stamp sa ITR ko. May guarantor po ako from Korea. I already have his bank statement, letter of invitation and letter as a guarantor.